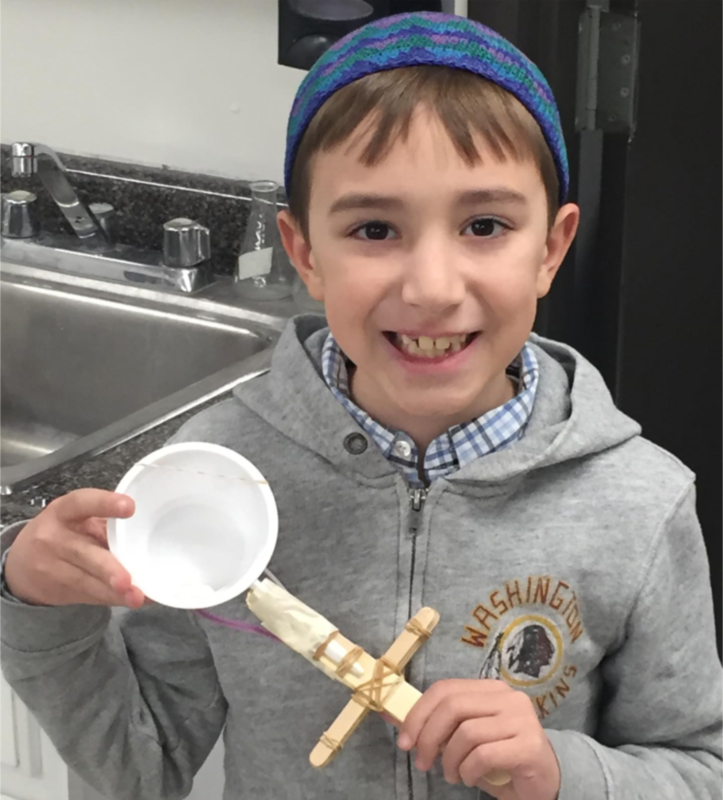 Our week began with a meaningful Hachnasat Sefer Torah, in memory of Ari Fuld, z"l. We look forward to using this Torah at SAR Academy, and reinforcing both our institutional memory, and our connections with Medinat Yisrael. Thank you to Ailie Schmulowitz and Adina Steinberg for coordinating this program. As both Tu B'Shvat and Martin Luther King Jr. Day coincide this year, I encourage you to discuss appreciation of the world, and of others, with your children. This is a nice opportunity to think about the significance of the days on our calendars, and to think about the common values that we can take from different places. Shira (AC '06, HS '10) and Zack Baratz on the birth of a baby boy. 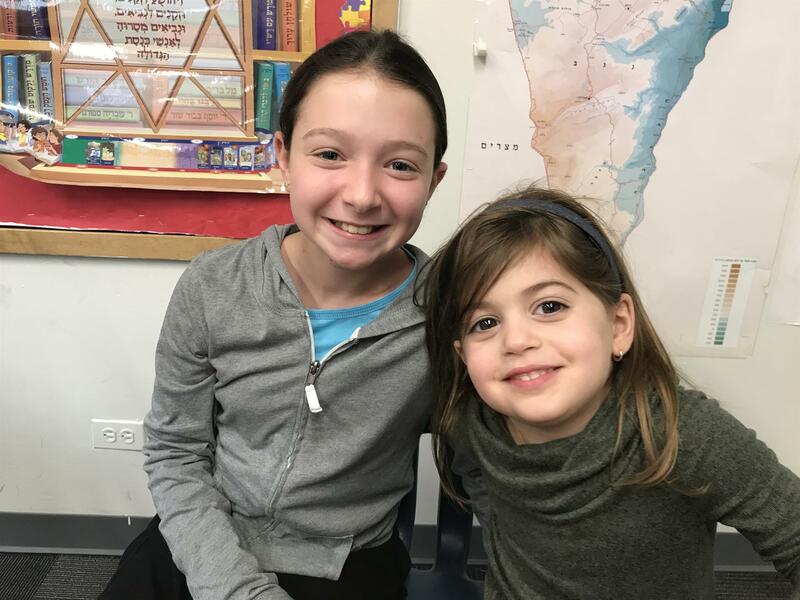 Mazal Tov to big sister Zoë (2N). In case you missed it last week, enjoy our third edition of the 50 Spectacular Stories newsletter and blog posts. 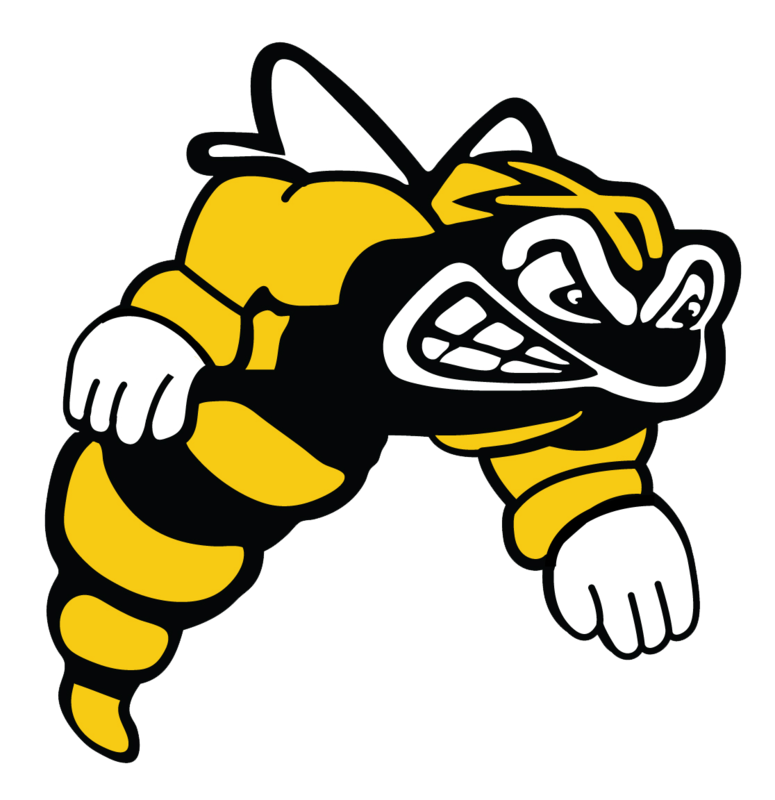 These memories, personal reflections, and old photos came from YOU--current and former faculty and staff, SAR Academy and High School alumni from the 70s, 80s, 90s and 00s, and parents. Share in this spectacular initiative by reading and sharing your own stories and memories. 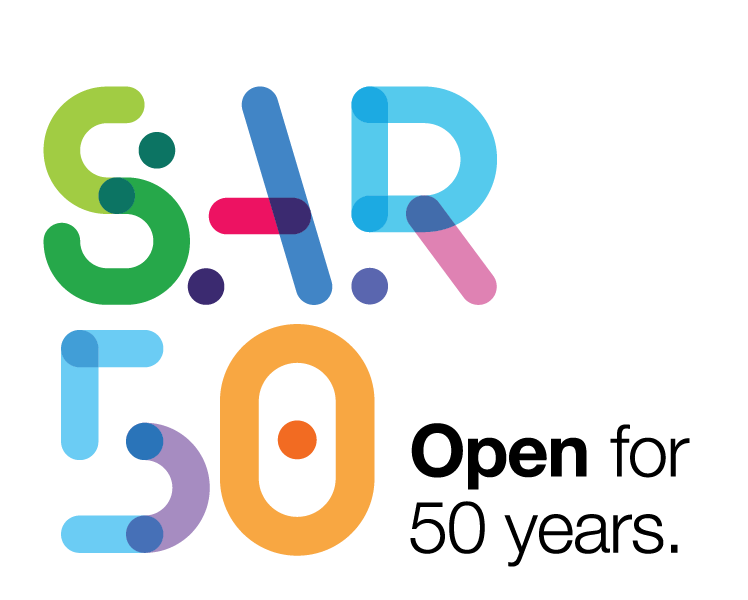 Our #Flashback@50 project involves spending a few minutes each week with our students sharing an artifact, an interview, or some historical background about SAR, giving them a sense of the things that shaped this institution and the philosophy behind some of the things that we do. This week the topic was The History of the Early Learning Center. Click here to read about it. Thank you to Sharon Marson and to the committee of teachers (many of them alumni!) who are working on this meaningful project. 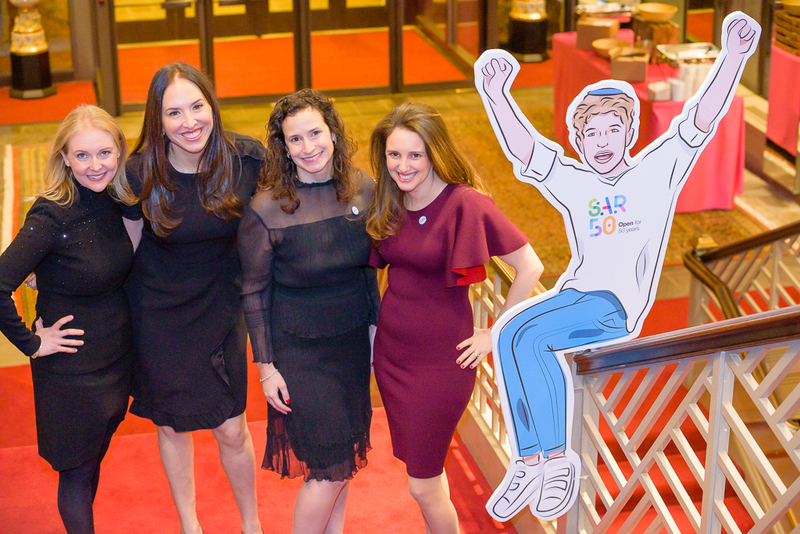 SAR's 50th Jubilee Celebration this past Motzaei Shabbat was an unforgettable evening. The word that continues to be shared is "pride," of belonging, mission, and our community's identity, as we honored our past and envisioned our future. 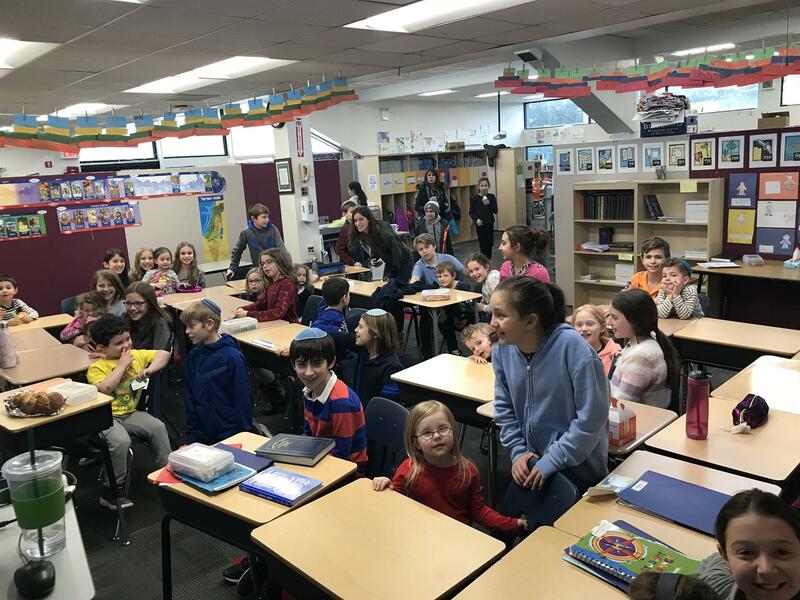 Our principals, founders, and alumni powerfully conveyed how the Torah values that are central to the educational philosophy of the school are carefully crafted into the SAR culture and curriculum, including humility, compassion, simcha, and approaching each child as a Tzelem Elokim. A photo gallery of the hundreds of people who make our community great! As we continue our 50th Anniversary, there are still so many more stories to write and share. To submit your own story within our 50 Spectacular Stories Project, click here. We extend a tremendous hakarat hatov to all the members of our community for your compassion and active participation. Most of all, thank you to our entire volunteer team, and faculty and staff, who worked to make this campaign and evening a success. As part of our 50th anniversary programming, we were honored to welcome a new Sefer Torah to SAR Academy on Monday morning. 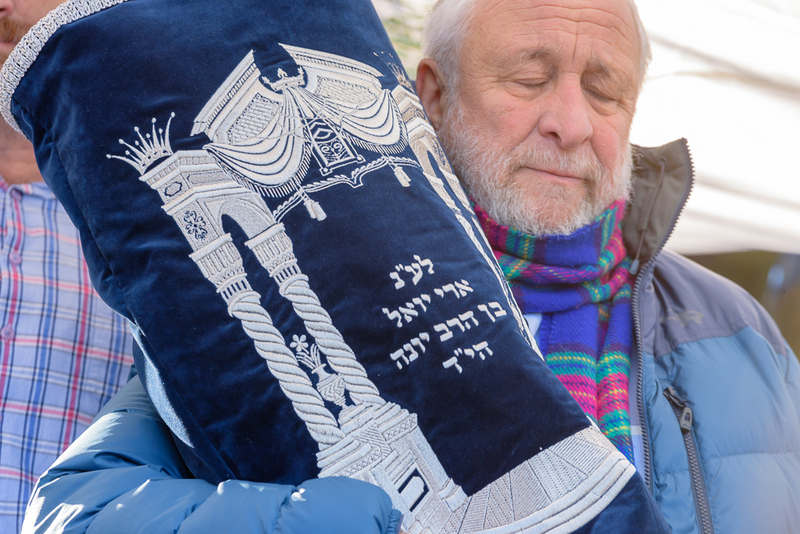 This Sefer Torah was anonymously donated to SAR in memory of alumnus Ari Fuld, z"l (AC '87). Former SAR Academy principal Rabbi Yonah and Mary Fuld along with other members of the Fuld family joined us for the Hachnasat Sefer Torah. 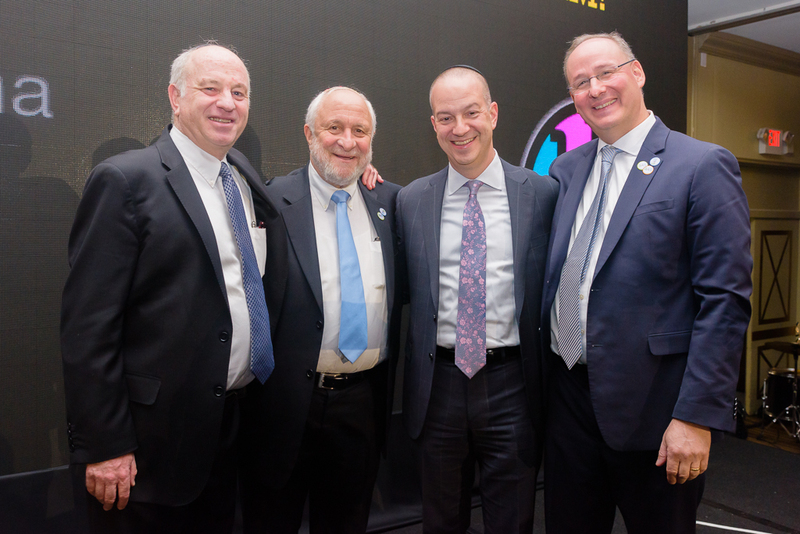 In addition, former principal Rabbi Joel Cohn, Rabbi Tully Harcsztark, Rabbi Yitz and Blu Greenberg, Rabbi Avi Weiss, and several alumni from the Class of '87 joined us as well. As trumpets sounded at the top of our driveway, middle school students, some carrying our current Sifrei Torah, escorted the new Torah, which was carried under the beautiful tallit inscribed with hundreds of names of SAR children. 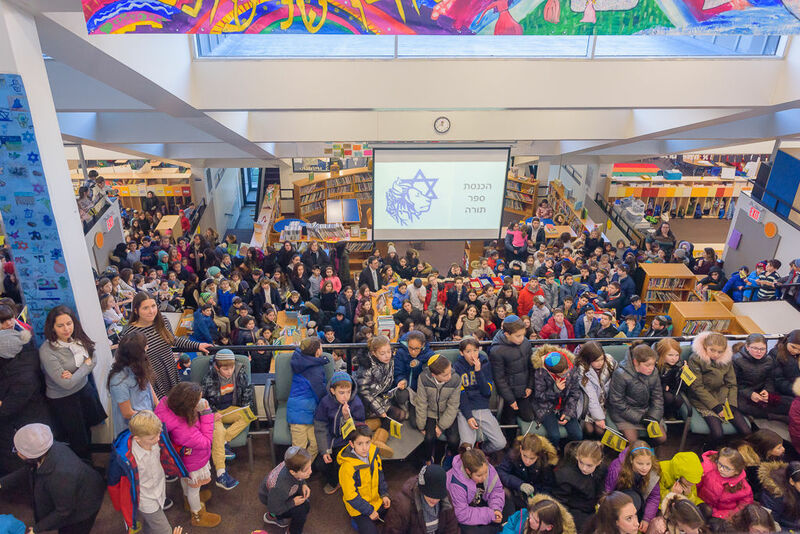 Students in the lower school lined the driveway as the Torah was brought inside, where it was greeted by awaiting ELC children. 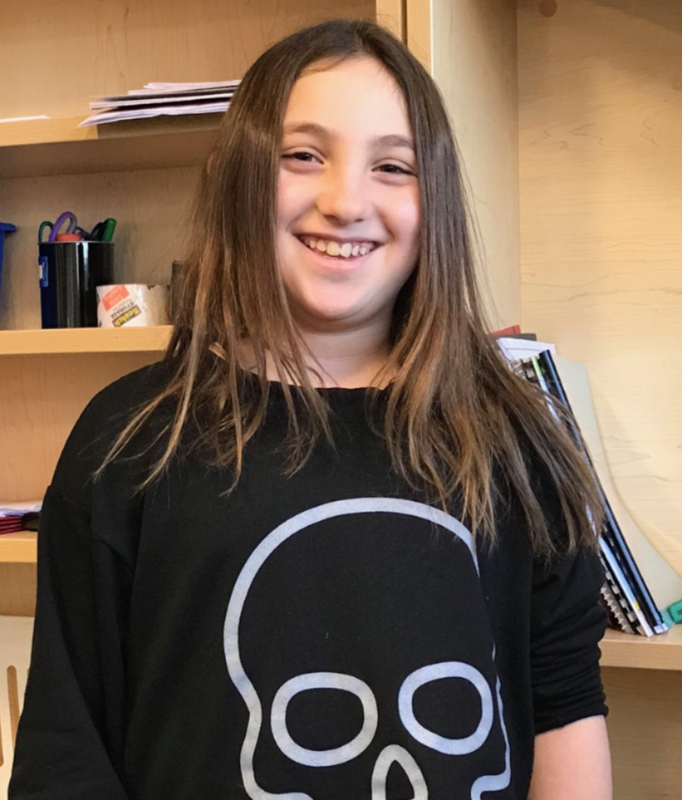 We talked about how the Hachnasat Sefer Torah was a celebration, but that it also symbolized a deep sadness as we honored and remembered the life of Ari Fuld, z"l. Rabbi Fuld spoke about children being the essence of the future and how his son Ari spent so much of his life teaching and bringing happiness to children and to Am Yisrael. 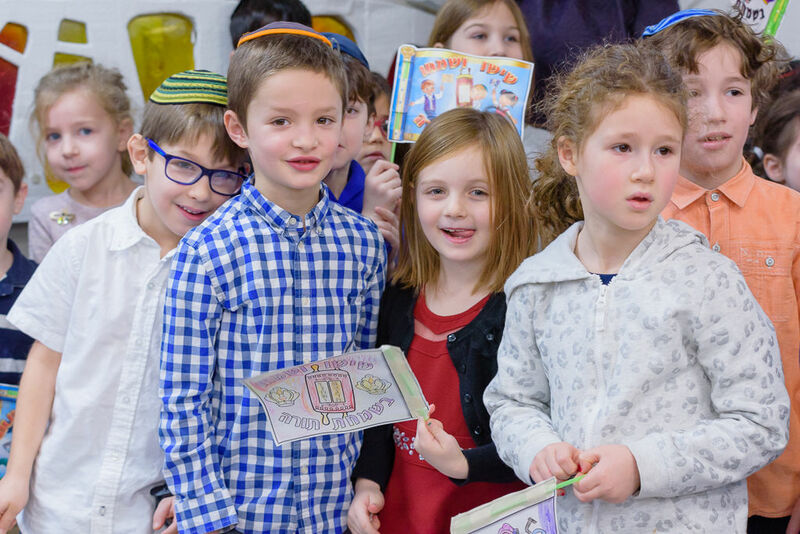 After leyning from our new Sefer Torah, all students, teachers, and guests celebrated with singing and dancing. Please click here to view a video of the Hachnasat Sefer Torah. Click here to view pictures of the ceremony. 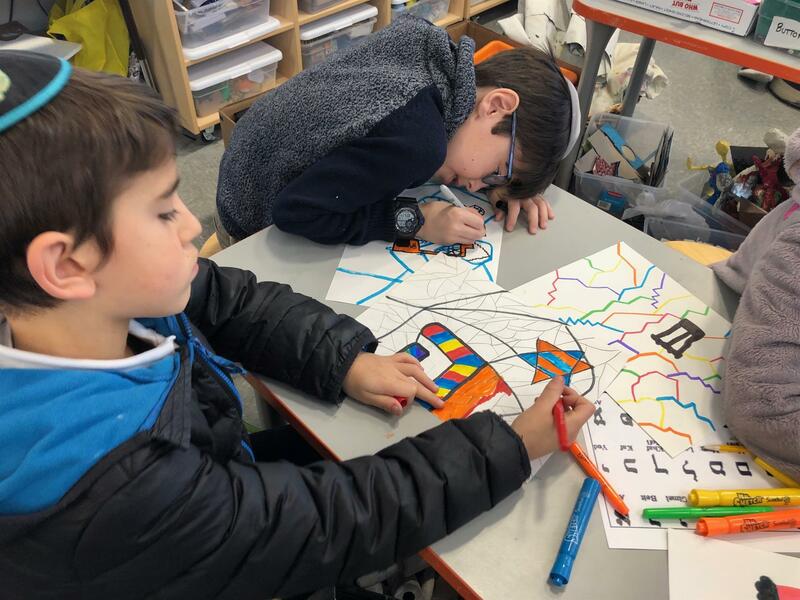 As we prepare for Tu B'Shvat the children in Gan Yonim have been exploring trees in a variety of ways. 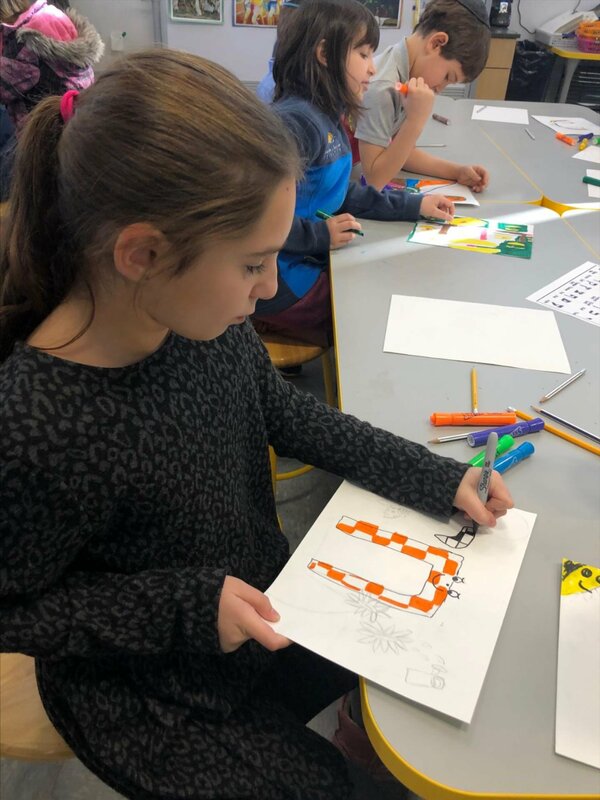 Through looking at pictures of many trees, the children began to notice the differences between pictures of the trees taken at different times of the year. For instance, they noticed that a maple tree was bare in the winter, filled with red and yellow leaves in the fall, small buds in the spring, and in full bloom during the summer. For some trees the distinctions were clear, but others less so, generating questions and discussion amongst the children. 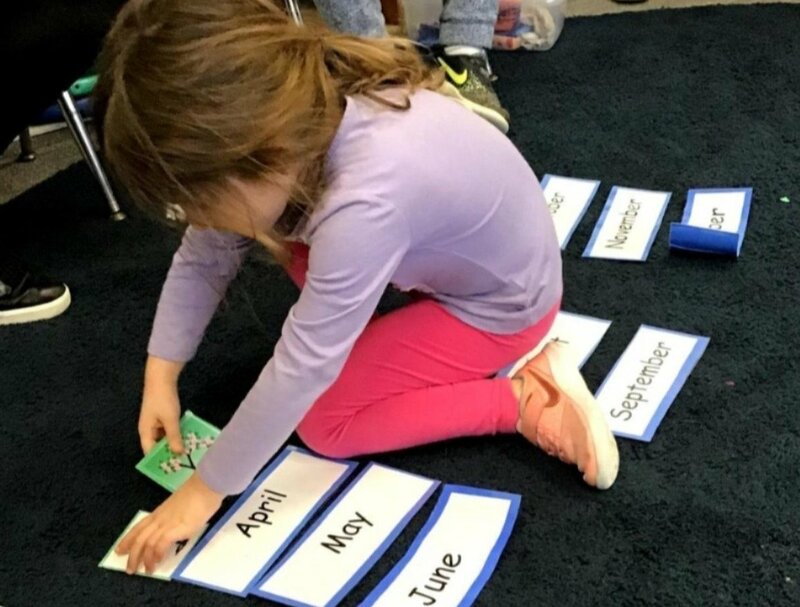 After spending time sorting pictures, the children thought about their birthdays, both the date and season. We also spent time learning about the different parts of trees. Using assorted cardboards, tagboards, popsicle sticks, pipe cleaners, paper rolls, and other brown and natural-looking materials, the children created a base of a tree. They "shopped" for their materials and planned their design before beginning to glue. 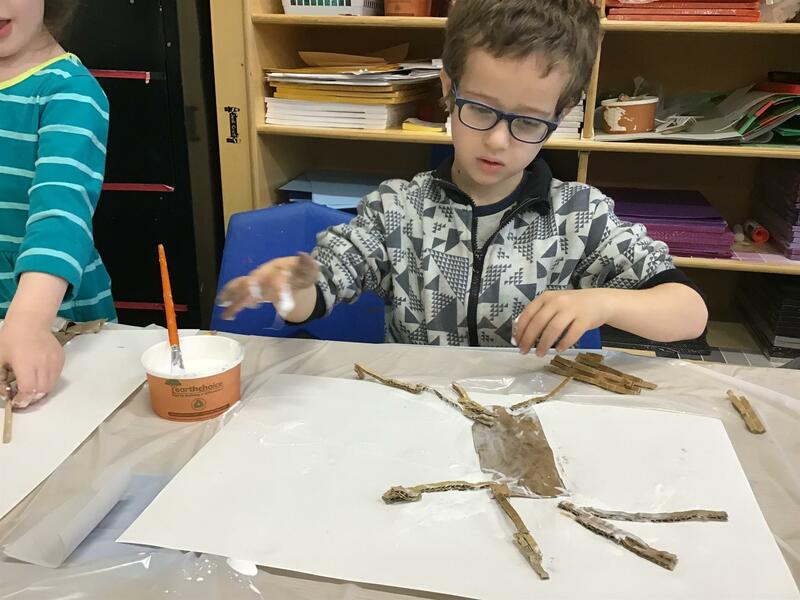 While many students used popsicle sticks for branches, some kept them whole and arranged them in branch-like designs and others set them up like an arch around their trunk or broke them into pieces in order to achieve their desired look. 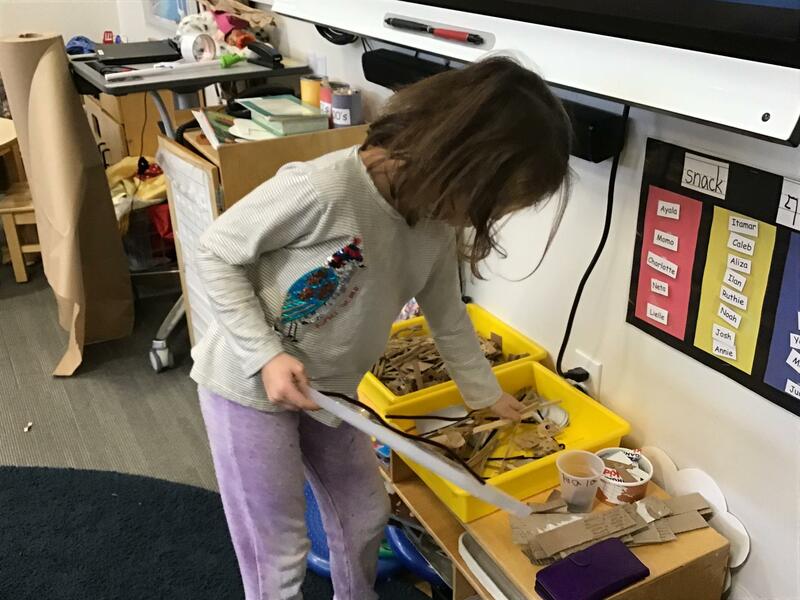 Some children used other branch-like objects too, such as strips of cardboard, packing materials, papers, and pipe cleaners. Ultimately, the children revisited their birthday season and added details to their textured trees to represent the correct season. 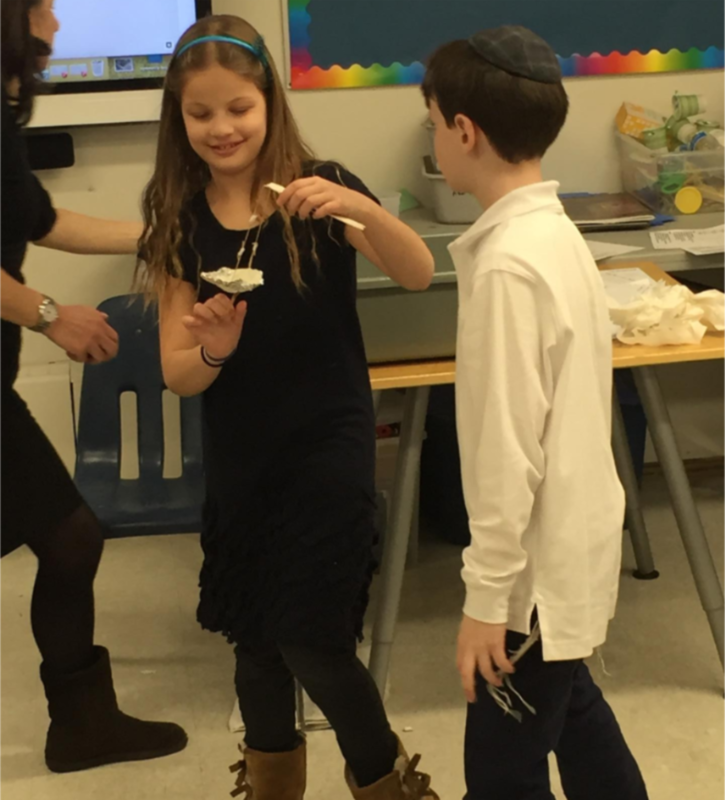 When the children of Gan Tzavim heard that class 5X loves the smell of their delicious challah, they decided to prepare a special treat for their fifth grade friends. 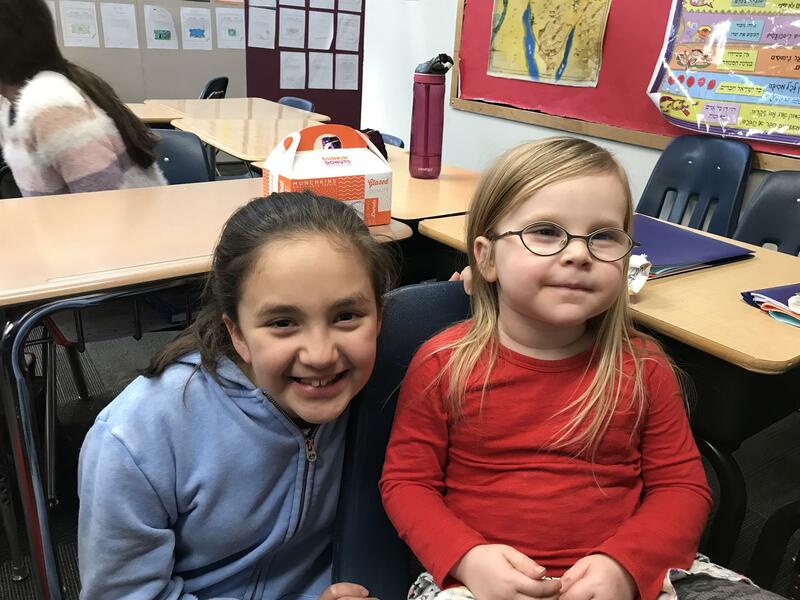 On Thursday, just as the fifth graders were delighting in the scent of the fresh challah baking from their neighboring nursery class, in walked Morah Chavi with her sweet yeladim to present their Shabbat gift to us: a fresh baked challah! We sat together with our Gan Tzavim friends and sang two Shabbat songs. Tamar Schmulowitz of Gan Tzavim said, "We brought them challah, we got to share their chairs. I shared with a girl named Aderet. We sitted down to sing 'Shabbos is Coming.'" 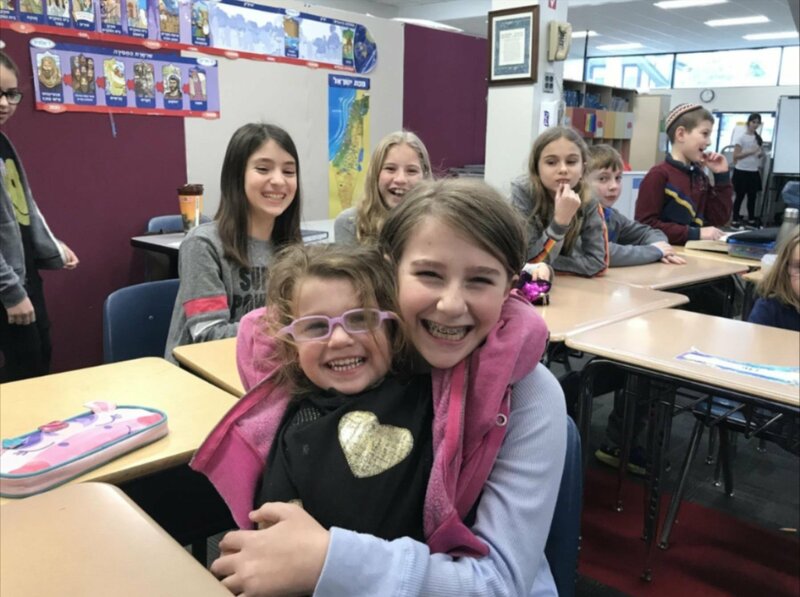 Everyone was so excited to share this lovely pre-Shabbat act of kindness! 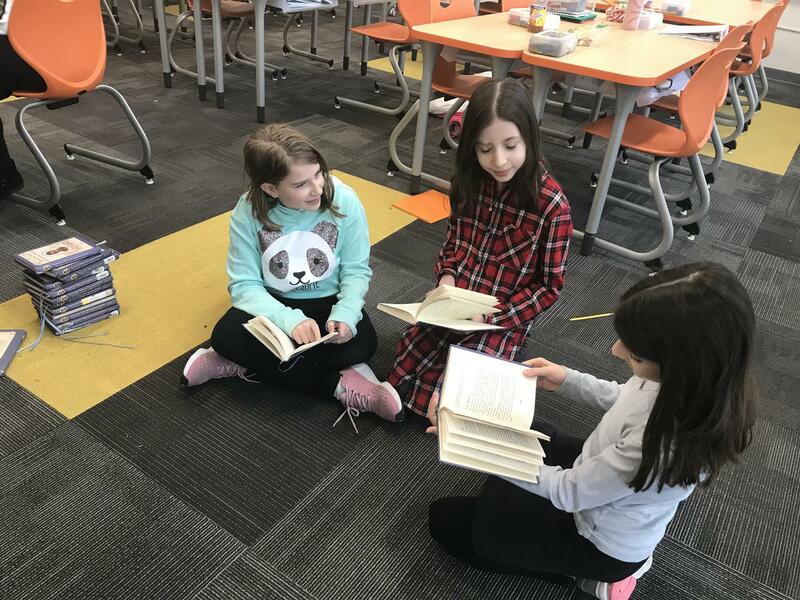 Fifth grade students have been knee-deep in historical fiction book clubs. 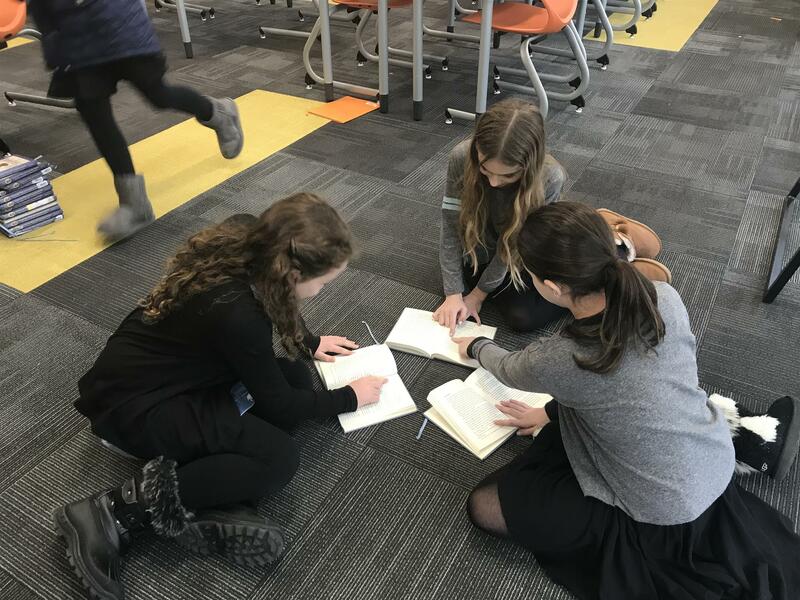 They have shared that they especially enjoy the book club set up in which they have the opportunity to not only choose their books, but also be in charge of their own reading goals. Through the use of appropriate "book talk" language and arriving prepared with many interesting thoughts, we have uncovered so much more to the books we have read! 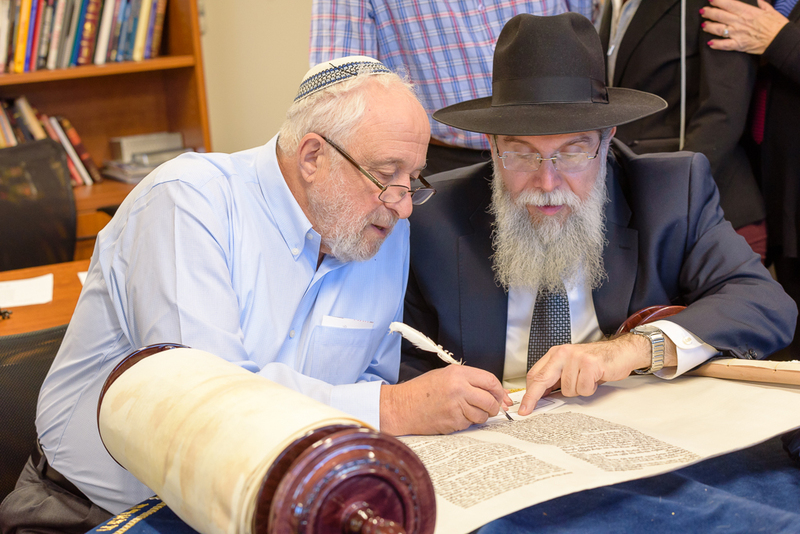 On Monday, along with the entire SAR community, we participated in a Hachnasat Sefer Torah ceremony. We lined up along the school's driveway as the processional of students carrying the Torah went through. The ceremony was very exciting! However, it was also bittersweet as we remembered Ari Fuld z"l, and honored his life and commitment to Torah and Israel. 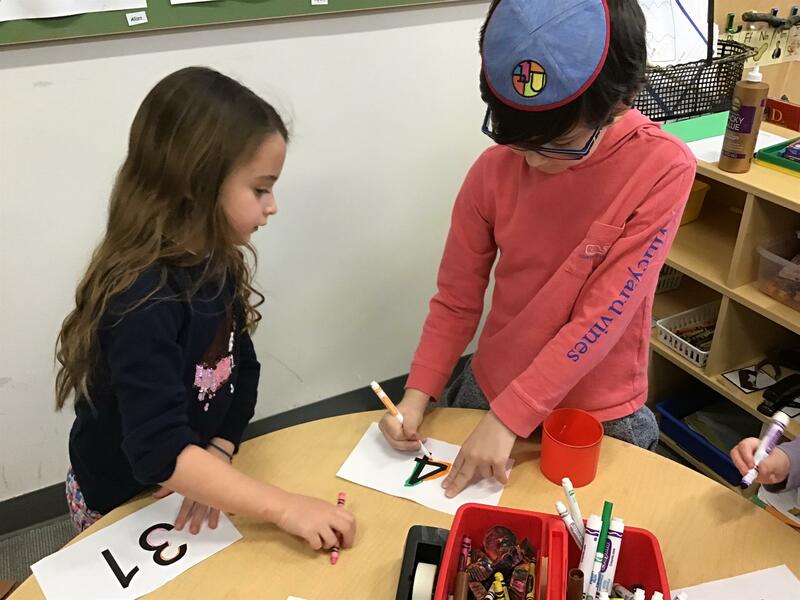 Throughout the rest of the week, we continued learning about Tu B'Shvat, culminating with a day of fun activities on Friday. 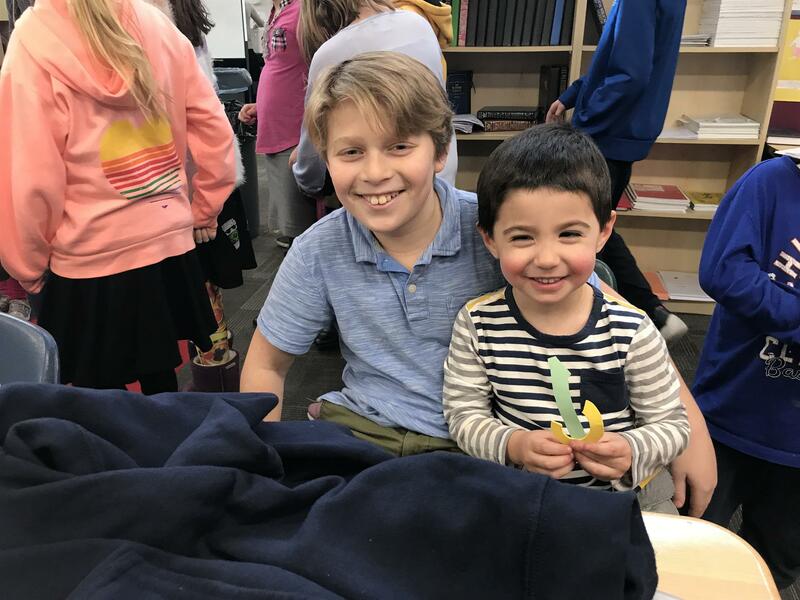 The bnot sherut taught us about the shivat haminim and led us in a planting activity, during which we decorated small pots and planted seeds in them in reference to the mitzvah of planting trees in Israel. 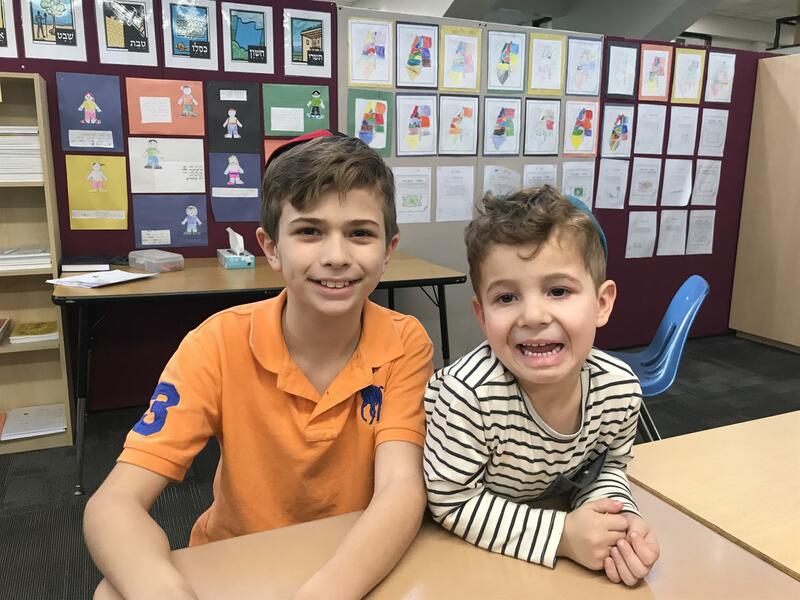 We also celebrated in our classrooms, with students circulating between four different stations at which they ate fruit salad, practiced their new Tu B'Shvat vocabulary in interactive games, and completed Tu B'Shvat-related assignments on iTalam. We have also been building our vocabulary by learning words related to choref: me'il, kovah, magafaim, k'fafot, sveder, and za'if! We hope the students enjoy Shabbat as well as their celebration of both Martin Luther King Jr. Day and Tu B'Shvat on their day off. After Monday's special Hachnasat Sefer Torah in memory of Ari Fuld z"l, the students in the art room compared SAR to a Sefer Torah. 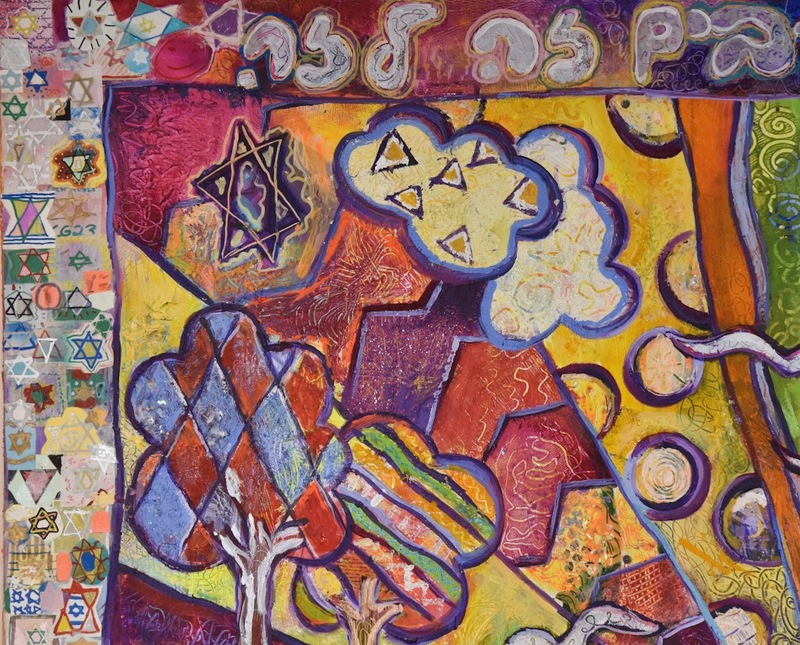 Just like SAR is comprised of unique individuals, families, and a greater community, a Sefer Torah is made up of individual letters, words, and sentences that create the lessons of the Torah. 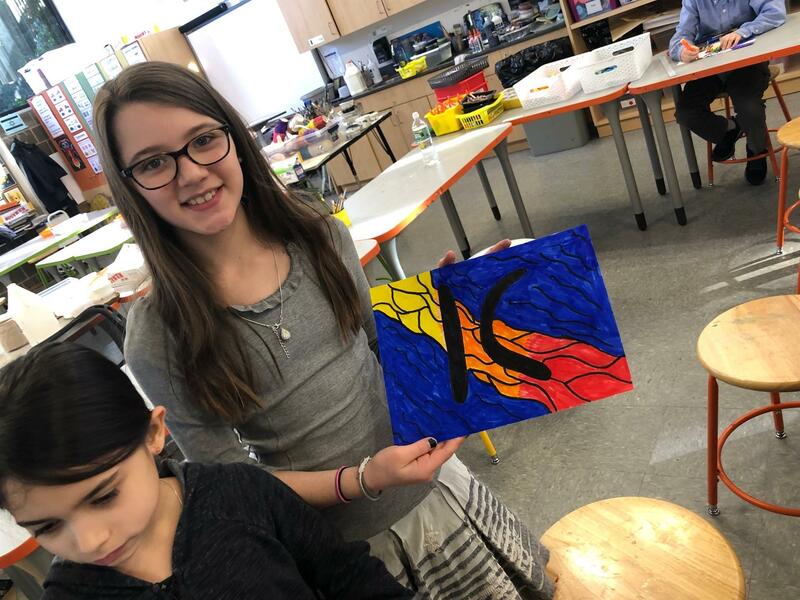 Inspired by this comparison along with Ari's lifelong commitment to Am Yisrael, each student uniquely designed and decorated a Hebrew letter or word to express its power and unique meaning. 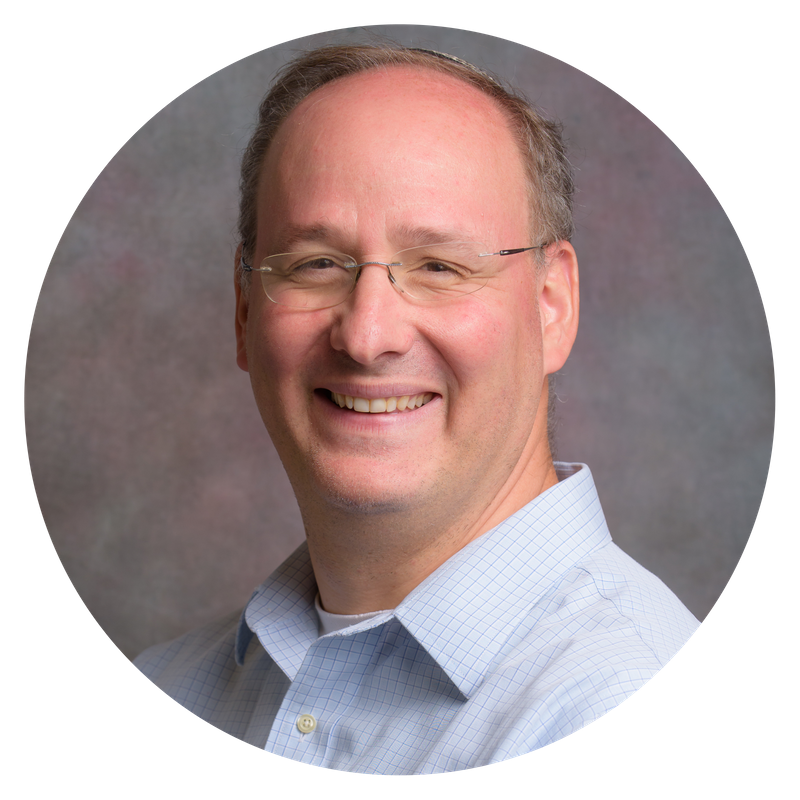 What do this week's parsha and this week's Learning to Look lesson have in common? Multiple viewpoints! A viewpoint is a way that we look at or think about something. In Parshat Beshalach the Jewish people have just left Egypt. How do you think the people felt inside? They probably felt lots of different things like scared, excited, sad, hungry, tired, and hopeful. In fact, it could be that Moshe, Miriam, and B'nei Yisrael felt all of those things at the same exact time. 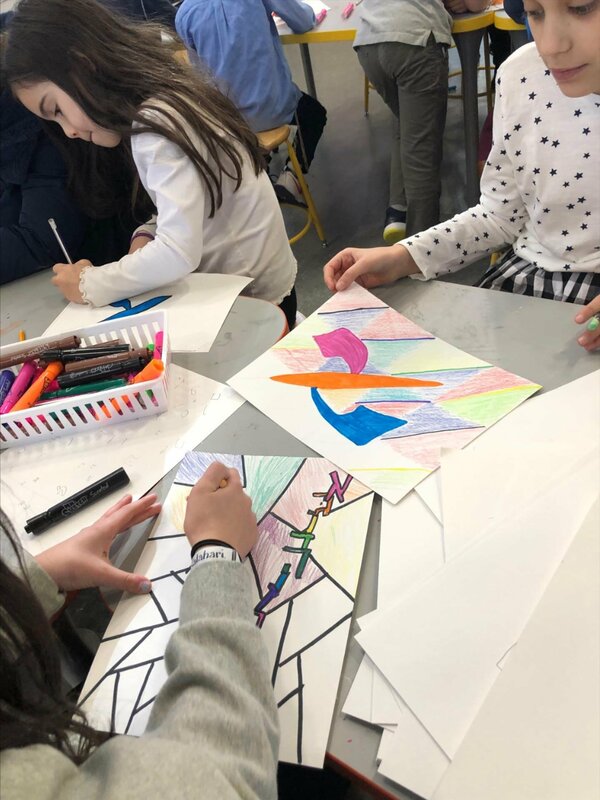 That is one of the things that the painter Pablo Picasso did with the style called Cubism. Just the way the Jewish people felt many things at once, Pablo Picasso showed many perspectives or points of view in his paintings at the same time. 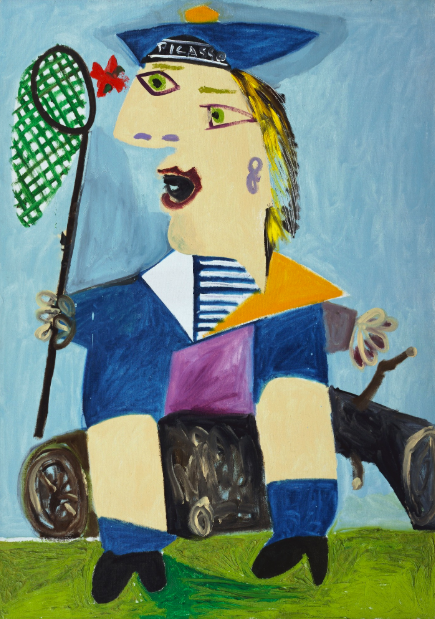 For Instance, notice the way he painted Maya's eyes in this painting Maya in a Sailor Suit. Do Maya's eyes look like he painted them from the same viewpoint? Do her legs and her shoulders look like they are facing the same direction? Do you think seeing something from multiple viewpoints looks confusing? Do you think you have ever looked at one thing and only noticed one thing? Our fall semester electives are coming to an end. 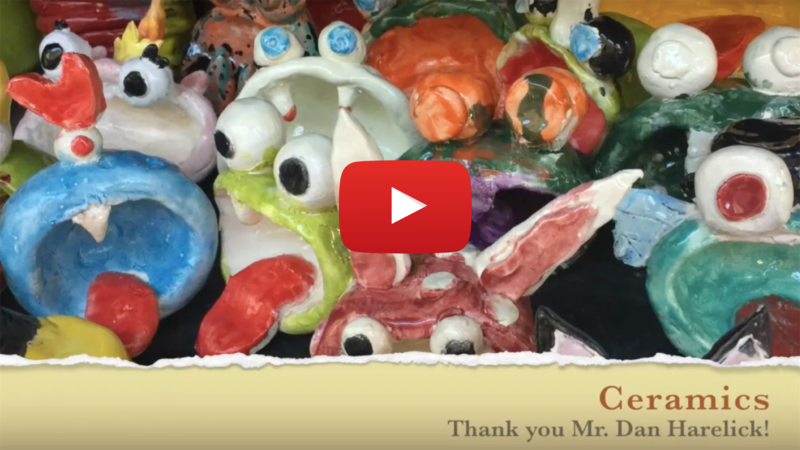 Check out the many offerings our students have experienced over the last few months! 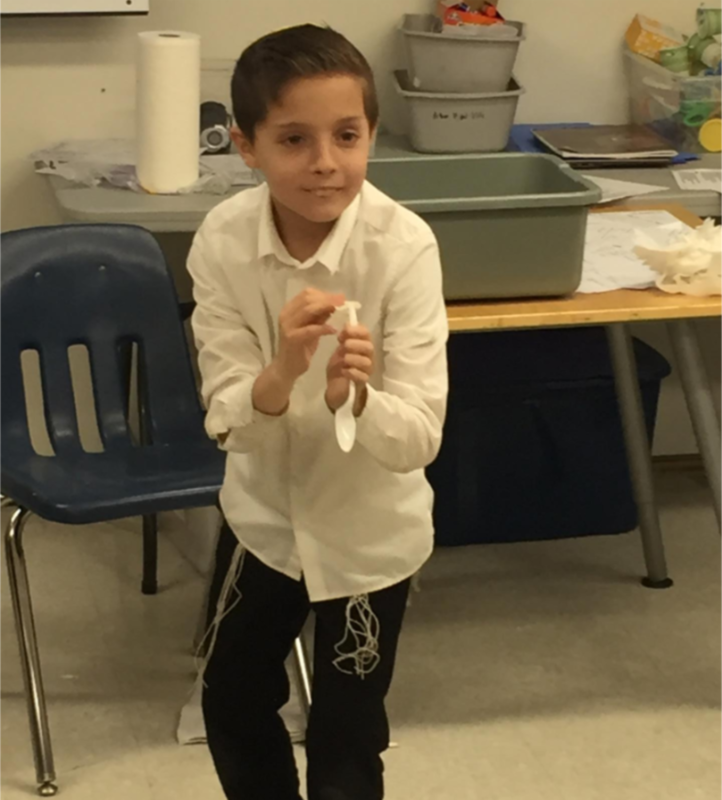 As the culminating activity for their unit of plant study, third grades were given a seed dispersal engineering challenge. 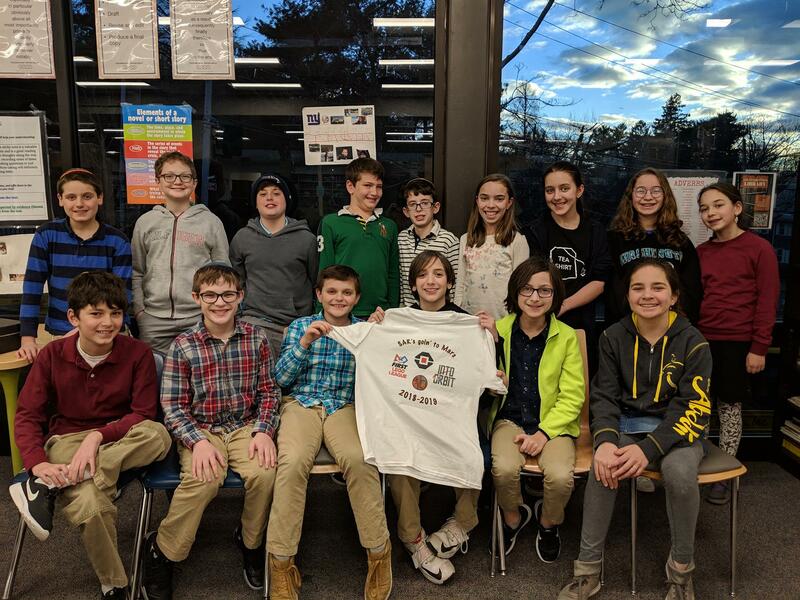 They were randomly assigned a dispersion method such as wind, water, or explosion and worked with their partners to brainstorm a design that would meet the specific criteria they were given. After building and testing their prototypes, each pair shared their design with the class. It was fun to watch the seeds catapult across the room, meeting the five foot challenge, and to watch the seeds float in water for longer than 15 seconds. Wind dispersal proved to be the most difficult but those students were not disappointed and were eager to think about ways to revise their design! that not only was it safe to drink but that it also could increase the growth of plants was mindboggling! Rabbi Cohn will continue with his special lesson next week for the classes that have not met with him yet. In this week's parsha, Parshat Beshalach, B'nei Yisrael have just left Mitzrayim and are camped right in front of the Yam Suf with nowhere to go. B'nei Yisrael are extremely frightened because they realize that they are trapped and their lives are in danger. We see in the pasuk that Hashem says to Moshe, "Why are you crying out to me? Speak to the people and travel." Rashi comments that we learn from Hashem's response that Moshe was davening and Hashem thought that he should really be helping Bnei Yisrael at this time, as he is their leader. recess, you should run to help them. After when everyone is safe or there is no other way to help, it would be a good time to daven to Hashem, as we know that Hashem listens to all of our tefillot. Click here to view the English version of Daf Yomi: Parshat Beshalach. 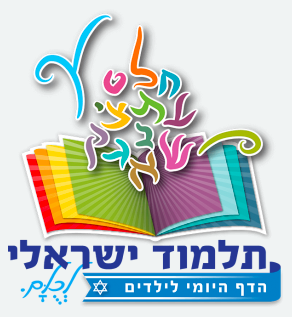 Click here to view the Hebrew version of Daf Yomi: Parshat Beshalach. Volunteer spots are filling up quickly for the Riverdale MLK Day of Service on Monday, January 21. Generously sponsored by UJA Federation's Time for Good initiative and coordinated by the Riverdale Y. Join other volunteers from throughout Riverdale as we serve meals, address environmental concerns, grapple with racism, compile vital items for countless individuals in need, and more. Adult, family, and teen opportunities available. Register in advance by clicking here.